The north woods of Wisconsin greet its visitors with acres of forest, hundreds of lakes, and year-round activities, from snowmobiling in the winter to fishing and hiking in the summers. 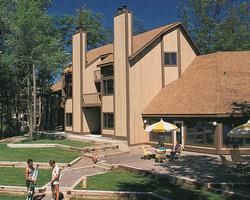 At The Pointe Resort and Club, you can have a complete Lake Minocqua experience from a personal lakeside timeshare condominium. First-class service is a hallmark of these Wisconsin timeshare resales. Around the resort’s dry ground you can enjoy volleyball, tennis, and a playground. In winter, it connects with one of Wisconsin’s premier northern snowmobiling trails, so you can experience the woods in any weather. If there’s no snow, you can still take biking and hiking tours through the tranquil and lush northwoods. Not only that, but from the shores of Lake Minocqua, it is easy to swim, boat, and fish. The Pointe Resort and Club is right on the lake, so you can view the early morning sunrise or evening sunsets over the water even from your condo windows. It is part of a chain of lakes that stretch for miles across the woods, so if you rent a boat or canoe you can explore the waters to your heart’s content. From the indoor recreation center, you have a fitness center, sauna, swimming pool and hot tub so you can work out or relax. The one or two bedroom timeshare condos at The Pointe Resort and Club feature pillowtop mattresses and accommodate four to six guests respectively. In the living areas oversized windows and balconies give you pristine views. You can satisfy your appetite by cooking with full-sized appliances in the kitchen, and enjoy dinner together as a family before watching some TV or going on the internet. When you leave the resort, you can tour rustic roads off the beaten path. In town, there’s live entertainment, shopping, and a casino about ten miles away. 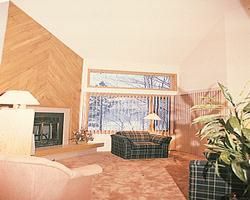 These Wisconsin timeshare resales will soon make you feel right at home in the northwoods. Within walking distance of shops and town, but far from the hectic world of day-to-day life, you will soon find peace and enjoyment on the shores of Lake Minocqua. Contact Pointe Resort and Club, The Specialist Today!